Across the U.S., just about any trip on the highway will lead drivers to pass at least a handful of tractor trailers operated by dedicated, hardworking professionals. Despite this fact, they may not realize just how much of a role truckers have on their everyday lives, but that may soon change. 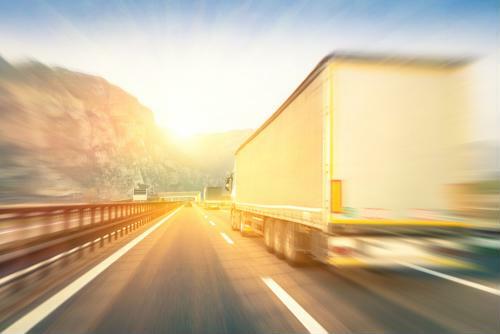 Nearly three-quarters of all items shipped across the country are sent by truck, and the extent to which that impacts everyday Americans' lives simply cannot be overstated, according to a new study from the American Trucking Association. For instance, if all truck activity stopped in the U.S., stores would start to run critically low on food within just three days, and that time frame would be sped up significantly for smaller businesses like convenience stores. Likewise, supplies of clean drinking water would likely run out in less than a month. Along similar lines, there would be a major impact on health care, as hospitals and care facilities ran out of food, often in less than a day, and pharmacies ran out of even the most basic drugs within a matter of weeks, the study found. Moreover, many hospitals and diagnostic centers would run out of supplies of critical chemicals in less than two weeks. All too often, the industry is said to face the "driver shortage" issue, and certainly it's a problem for freight companies that are seeing more demand but don't always have the drivers available to meet it, according to the Journal of Commerce. However, many on the business side say the issue here is that drivers just aren't as engaged as they used to be, but it's worth noting that average driver pay was more or less even with average pay for all jobs as recently as 2001. Since then, however, shippers have cut driver pay on an inflation-adjusted basis, to the point that they now make 12 percent less than the average worker for all jobs, the report said. This is happening for many reasons, and to their credit employers are likely to start paying drivers more in 2019, but it may have some ways to go before getting back to the levels seen at the turn of the century. Meanwhile, more truckers are aware of the issues they face - from falling pay to greater scrutiny thanks to government ELD regulation - and may be planning to do something about it, according to Business Insider. An online trucker group says it is organizing a one-day strike to raise industry awareness of the hurdles pro haulers face, and has amassed as many as 15,000 people who may participate. This event is scheduled for mid-April. Drivers and companies alike need to come together to find ways to meet the shortage problem and continue to do the hard work of supplying millions of businesses with everyday goods. Often, higher pay, better benefits and more perks is how companies are able to attract and retain the most reliable drivers in the industry.